Archaeological material tends to accumulate in events. A gardener swept a pile of soil into a corner, laid a gravel path or planted a bush in a hole. A builder built a wall and back-filled the trench. Years later, someone built a pig sty onto it and drained the pig sty into the nettle patch. Later still, the original wall blew over and so on. Each event, which may have taken a short or long time to accomplish, leaves a context. This layer cake of events is often referred to as the archaeological sequence or record. 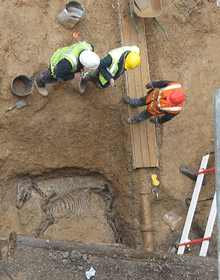 It is by analysis of this sequence or record that excavation is intended to permit interpretation, which should lead to discussion and understanding. Research excavation - when time and resources are available to excavate the site fully and at a leisurely pace. These are now almost exclusively the preserve of academics or private societies who can muster enough volunteer labour and funds. The size of the excavation can also be decided by the director as it goes on. 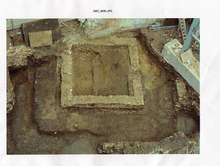 Development-led excavation - undertaken by professional archaeologists when the site is threatened by building development. Normally funded by the developer meaning that time is more of a factor as well as its being focused only on areas to be affected by building. The workforce is generally more skilled however and pre-development excavations also provide a comprehensive record of the areas investigated. Rescue archaeology is sometimes thought of as a separate type of excavation but in practice tends to be a similar form of development-led practice. 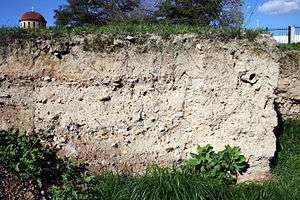 Various new forms of excavation terminology have appeared in recent years such as Strip map and sample some of which have been criticized within the profession as jargon created to cover up for falling standards of practice. There are two main types of trial excavation in professional archaeology both commonly associated with development-led excavation: the test pit or trench and the watching brief. The purpose of trial excavations is to determine the extent and characteristics of archaeological potential in a given area before extensive excavation work is undertaken. This is usually conducted in development-led excavations as part of Project management planning. the main difference between Trial trenching and watching briefs is that trial trenches are actively dug for the purpose of revealing archaeological potential whereas watching briefs are cursory examination of trenches where the primary function of the trench is something other than archaeology, for example a trench cut for a gas pipe in a road. In the USA, a method of evaluation called a Shovel test pit is used which is a specified half meter square line of trial trenches dug by hand. This describes the use in excavations of various types and sizes of machines from small backhoes to heavy duty earth-moving machinery. 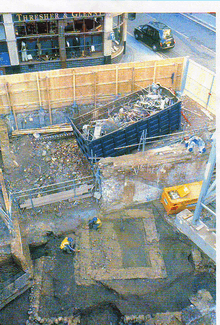 Machines are often used in what is called salvage or rescue archaeology in developer-led excavation when there are financial or time pressures. Using a mechanical excavator is the quickest method to remove soil and debris and to prepare the surface for excavation by hand, taking care to avoid damaging archaeological deposits by accident or to make it difficult to identify later precisely where finds were located. The use of such machinery is often routine (as it is for instance with the British archaeological television series Time Team) but can also be controversial as it can result in less discrimination in how the archaeological sequence on a site is recorded. One of the earliest uses of earth-moving machinery was at Durrington Walls in 1967. An old road through the henge was to be straightened and improved and was going to cause considerable damage to the archaeology. Rosemary Hill describes how Geoffrey Wainright "oversaw large, high-speed excavations, taking bulldozers to the site in a manner that shocked some of his colleagues but yielded valuable if tantalising information about what Durrington had looked like and how it might have been used." Machines are used primarily to remove modern overburden and for the control of spoil. In British archaeology mechanical diggers are sometimes nicknamed "big yellow trowels". A group of archaeological excavators will generally work for a supervisor who reports to the site director or project manager. He or she will have ultimate responsibility for interpreting the site and writing the final report. 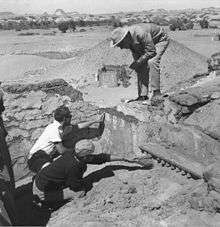 Most excavations are eventually published in professional journals although this process can take years. This process takes place post-excavation and involves a myriad of other specialists. ↑ Binford, Lewis (1978). "Dimensional analysis of behaviour & site structure: learning from an Eskimo hunting stand". American Antiquity. 40: 335. ↑ Barker (1982). Techniques of Archaeological Excavation (2nd ed.). London: Batsford. ISBN 0713427388. ↑ Roosevelt; Cobb; Moss; Olson; Ünlüsoy (2015). "Excavation is Destruction Digitization: Advances in Archaeological Practice". Journal of Field Archaeology: 325–346. doi:10.1179/2042458215Y.0000000004. ↑ Van Horn, D.M. ; J. R. Murray; R. S. White (1986). "Some Techniques for Mechanical Excavation in Salvage Archaeology". Journal of Field Archaeology. 13 (2): 239–244. doi:10.1179/jfa.1986.13.2.239. ↑ "How to dig?". Past Perfect. Retrieved 4 September 2013. ↑ "PBS' Time Team America to Debut July 8 with Dig on Roanoke Island". First Colony Foundation. Retrieved 10 October 2013. ↑ Hill, Rosemary (2009). Stonehenge. Profile Books. p. 201. ISBN 978-1861978806.